Amilova.com is an innovative project incorporating webcomics, mangas and online community! Amilova.com is the ideal entertainment platform for comics and manga fans. They can read over 1254 comics for free and buy eBooks versions for Ipad and other tablets. 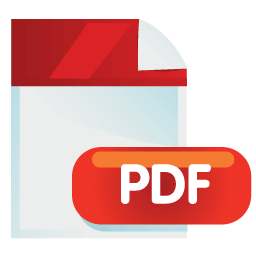 For the artists, the website offers a unique opportunity to make a living through their art by publishing their work on-line in a variety of languages, establishing direct contact with readers, and ultimately making it possible for them to be published and distributed in print. For the readers, the website offers the joy and pleasure of participating in the artistic process by discovering new pages every day, commenting directly on the artist's work, or maybe even helping with translations! Since starting in 2010 Amilova.com has grown to a project of more than 118084 members, 15 000 unique visitors per day, over 600 authors and 1254 comic series! And this is just the beginning! Festiblog 2012 : 28/09/2012 - 30/09/2012 : Meeting between Amilova's community members during the webcomic event Festiblog, in Paris. Find a recap of what happened during the event (in french)on the board topic here. Japan Expo 2012 : 05/07/2012 - 08/07/2012 : The Big One in 2012! The huge Japan Expo fair in Paris! 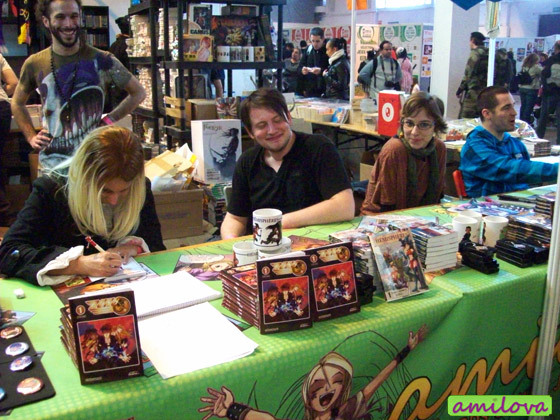 Amilova was present with more than 15 printed books and 10 artists signing their comics. Thanks to Mariko, Aure-Magik et Elfwynor for the pictures. More pictures and details about the event can be found on dedicated topic on the board (in french). Japan Expo Sud 2012 : 02/03/2012 - 04/03/2012 : Closer to our fans ! 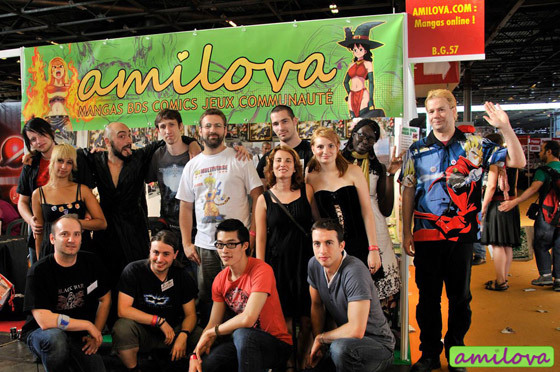 Amilova was in the town of Marseille (south of France) for the Japan Expo Sud fair. A good occasion for our members and fans to meet us far away from Paris. Thanks to Stef84 for the picture. More pictures and details about the event can be found on dedicated topic on the board (in french). 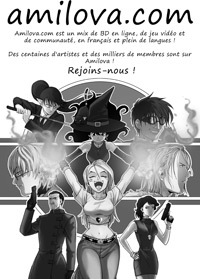 Japan Expo 2011: 30/06/2011 - 04/07/2011: The Amilova Team was present, together with 14 authors for book-signings. If you want to add a banner on your site, please take a look at this page.